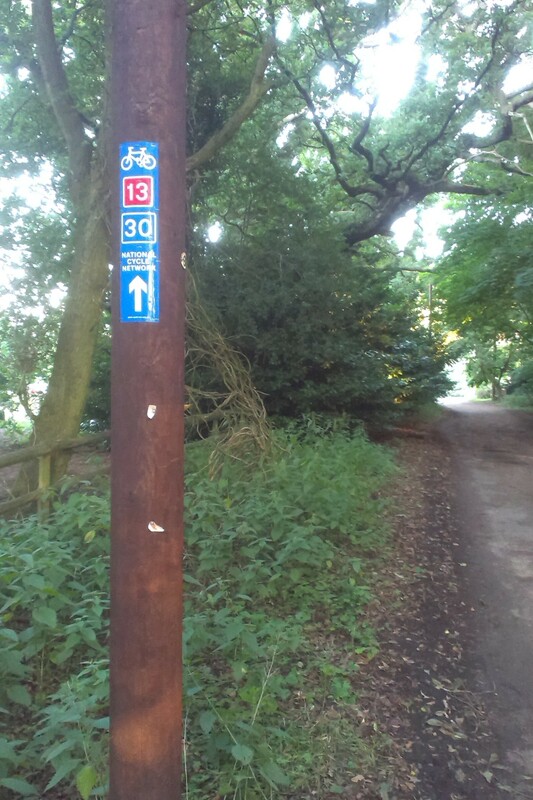 I went out for a route inspection of Route 30 and Route 13 between Thetford and Knettishall this evening. Everything was in order, though the surface of the Peddar’s Way off-road section may need watching since it was a getting a bit sandy. As previously noted, the signage at the junction where Route 30 and Route 13 diverge could also be improved. 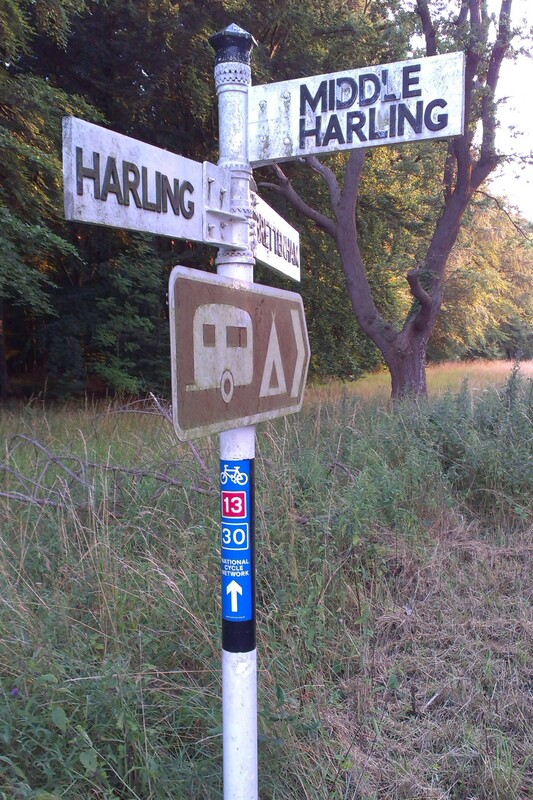 Ideally we would have a milepost or a permanent sign post with destinations and distances, but given the current financial situation, this may not be possible for the foreseeable future. 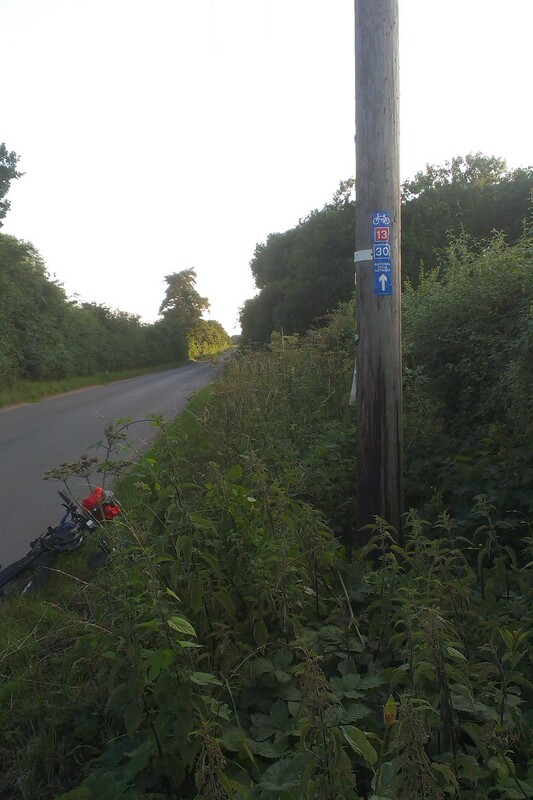 This evening, I set out on a route inspection and signing ride on the section of National Route 13 and Regional Route 30 between Thetford and Knettishall. 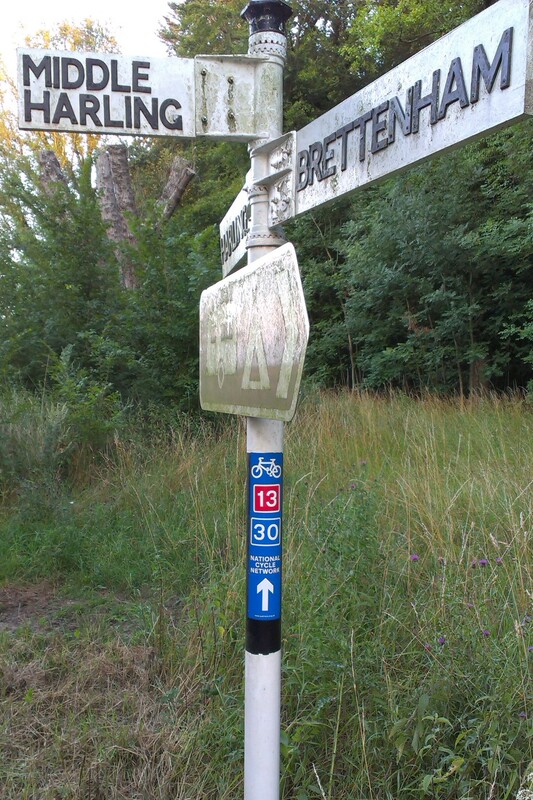 The route itself was fine, and I was able to add a few confirmation signs along the way. 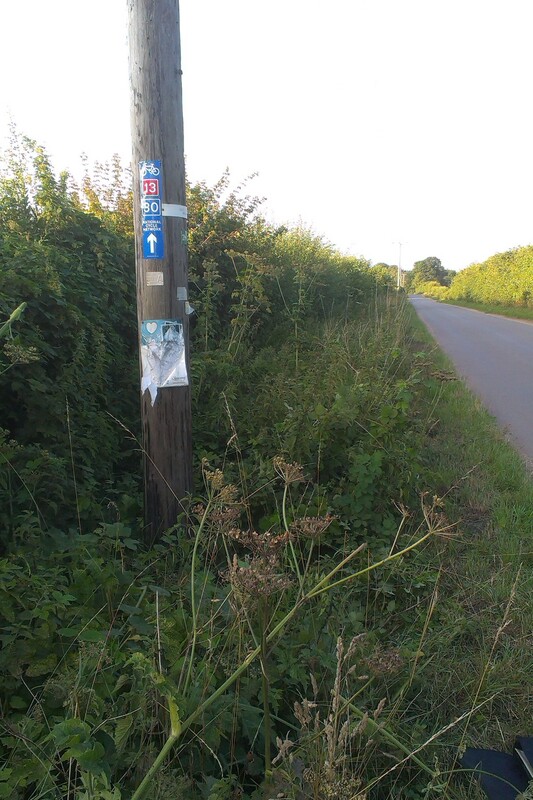 First, I added two pairs of signs between Kilverstone and Bridgham: one by Shepherds Cottages, and one 500m north-east of the Peddars Way crossing. An additional pair would also be useful somewhere near Langmere Lodge, but I couldn’t see anywhere suitable to place them. 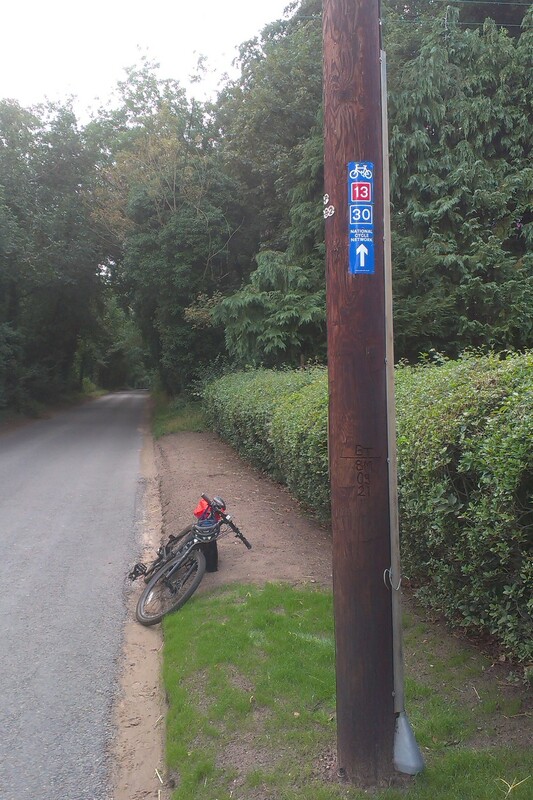 An additional pair of signs part-way along Bridgham Lane would be useful, but again, there is nowhere suitable to place them. 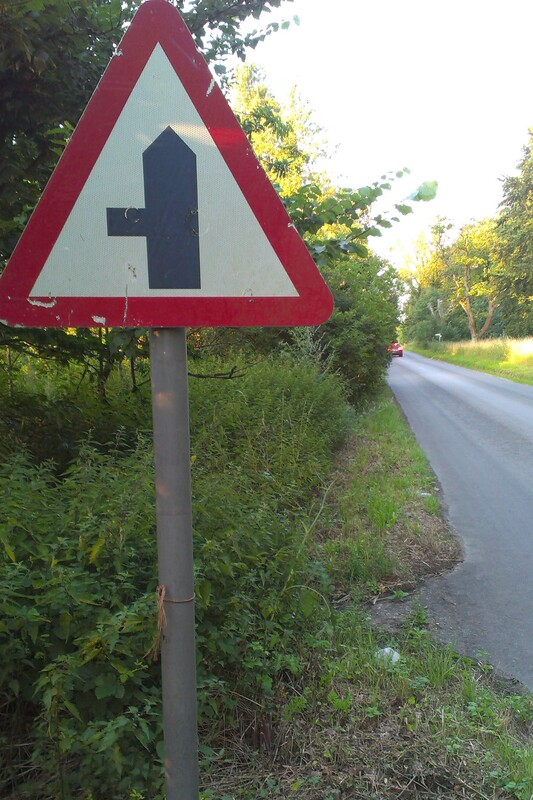 Finally I undertook some maintenance on existing signs. 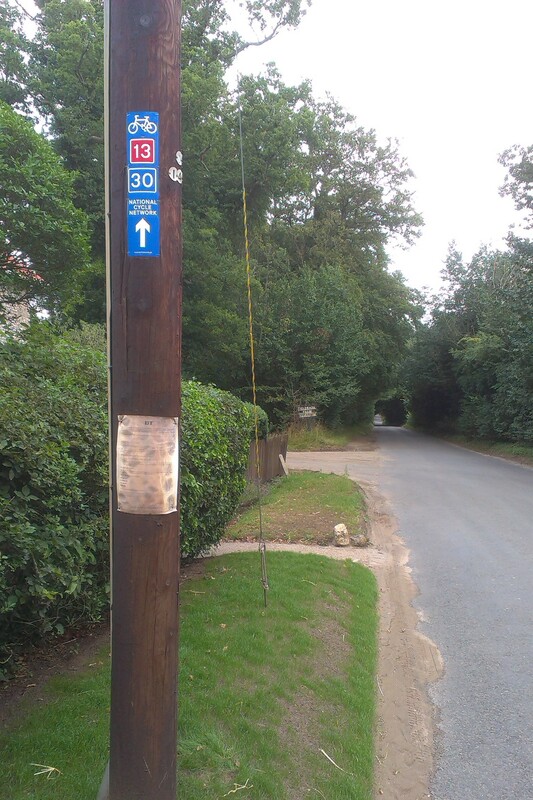 First I removed a superfluous sign just south-east of the junction to Middle Harling that showed only NR 13. 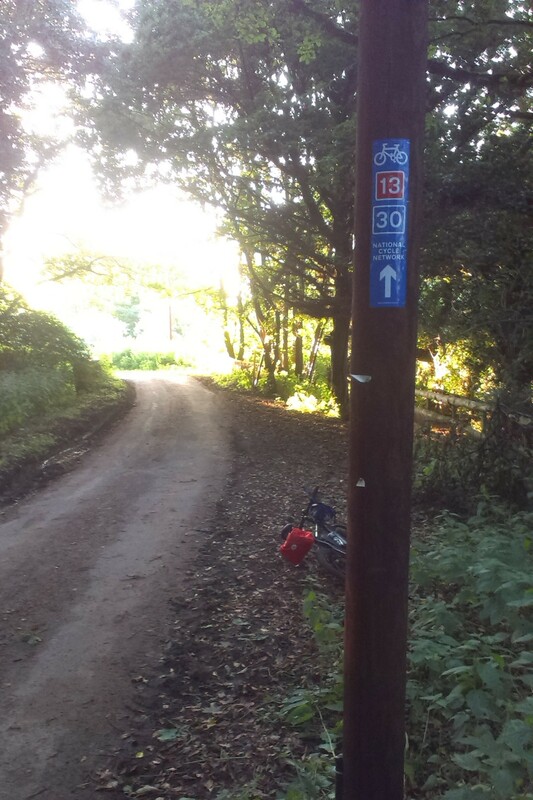 Secondly I converted a pair of existing signs at the junction to show RR 30 in addition to NR 13.